Despite having come home from Japan with a suitcase full of fabric, I actually didn't buy anything that was summer-weight (it's winter in Japan so there was only winter fabric around). 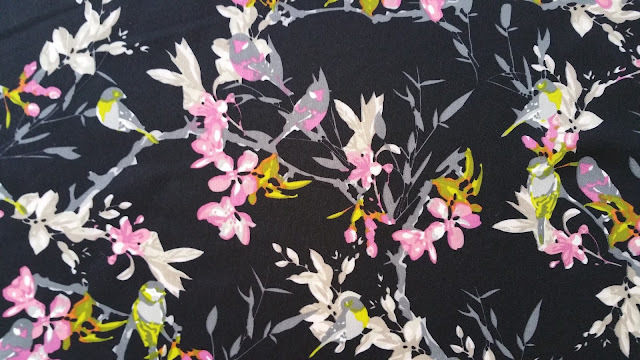 A quick trip to Lincraft to pick up a pattern saw me come home with this pretty mystery fabric. It feels a bit like neoprene, but nowhere near as thick. No surprise, but I made myself another Lady Skater Skirt. The fabric has the potential to be hot and sweaty if made into anything fitted, but as a floaty skirt....no worries! I wore this out to dinner last night and felt great in it. Nothing to say that hasn't be said before on my other posts (here , here and here). I left the skirt unhemmed as it sits better that way, so all up (cutting time included) this took about an hour to sew up. 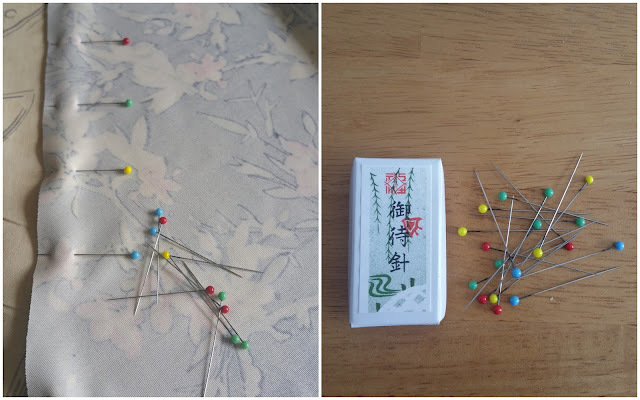 Most excitingly I got to use my new purchased glass-head pins purchased from Kyoto's gorgeous Misuyabari Needle Shop. These needles are handmade and they are simple, but lovely. 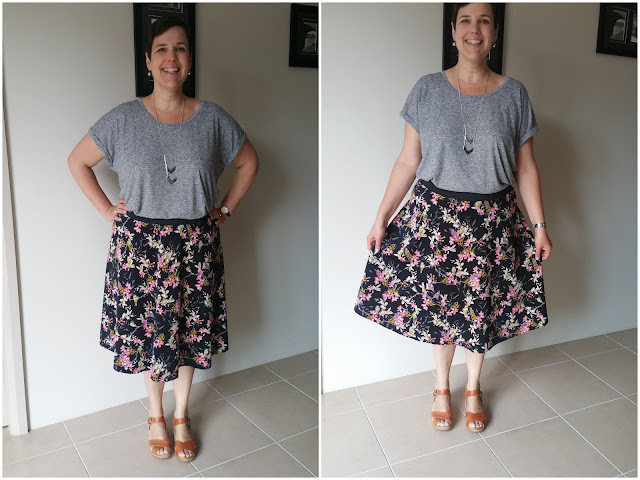 I love these skirts, but I think I now need to move on and find a t-shirt pattern to go with them as none of my RTW tops are quite right; or quite fitted in the right way for such a skirt. Any recommendatins? I think of the Maria Denmark Kimono Tee?